Boeing Co. is expanding in South Carolina and will invest another $1 billion, creating 2,000 new jobs, during the next eight years, the aerospace giant announced Tuesday. Company spokeswoman Candy Eslinger said the company that operates a 787 assembly plant in North Charleston will expand its operations. 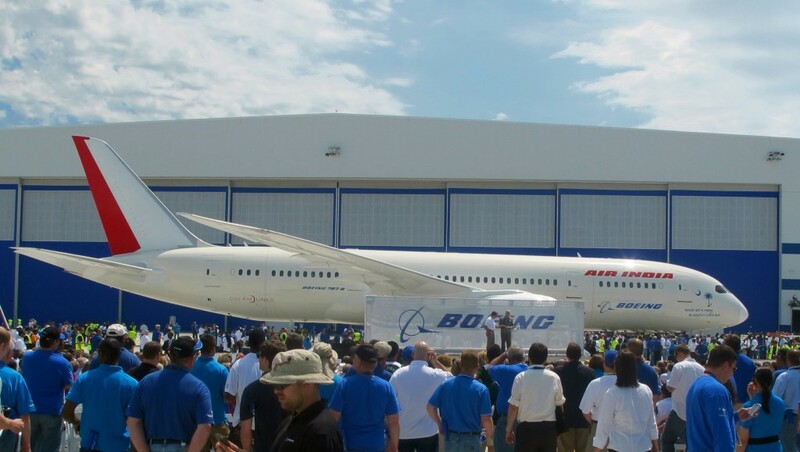 The first of the new 787s made in South Carolina rolled off the assembly line about a year ago. News of the expansion was first reported by The Post and Courier. Eslinger said the company is making the investment to qualify for state incentives being introduced in the General Assembly in Columbia this week. The newspaper reported that House Speaker Bobby Harrell and state Sen. Hugh Leatherman plan to co-sponsor legislation providing $120 million to offset Boeing’s upfront expansion costs, like site preparation and utility expenses. Lawmakers said they’ve been told the company will establish an information technology center, creating about 1,000 jobs. The other 1,000 jobs will be comprised of 787 engineers and production employees. “I think what we’re seeing is a whole new phase of building airplanes in South Carolina,” Gov. Nikki Haley told the newspaper. Haley was to be in Charleston on Tuesday, attending an aerospace conference. Boeing officials and state Secretary of Commerce Bobby Hitt were also to attend. Last year, the Charleston County Aviation Authority began the process of selling 320 acres of land near the North Charleston assembly site. The agency voted to give Boeing first rights of refusal on nearly 500 more acres, as well as an option to buy another 265 acres. Last year Boeing also bought the South Carolina Research Authority office site near its assembly plant. The 787 has been grounded since mid-January because of a problem with smoldering lithium-ion batteries. The company has proposed a fix to federal regulators, and last week conducted a final test on the new design that includes more heat insulation and a battery box designed so that any meltdown of the battery vents hot gases outside of the plane. None of the 787s that reported battery problems were built in South Carolina.